In an interesting announcement, RAMBUS has revealed (via Computerbase) the specifications of the DDR5 and HBM3 memory standard. These are early specs and could change, but for HBM3 we at least have one spec locked, while for DDR5 a basic overview is now available. HBM3 will be the successor for the HBM2 memory while DDR5 will be the general successor to DDR4 on the primary PC platform. Before we go any further, let me just say that these specs are at their very early stage and we don’t expect to see anything before 2019 at the earliest. Keep in mind that AMD will be using HBM2 memory for its high end GPUs throughout 2018 and even NVIDIA isn’t expected to utilize the new standard anytime soon. The same goes for DDR5 memory, DDR4 still has a couple of years of life left in it, not to mention the specifications for the same aren’t set in concrete yet. Now the the numbers revealed by RAMBUS at least confirm one thing, both memory standards will offer the following upgrades: HBM3 will offer twice the performance as a bare minimum, while the DDR5 standard will offer anywhere from 1.5x to 2x the performance of DDR4. For HBM3, I say twice the performance minimum because what they have revealed is the new transfer rate, which will be 4 GT/s. Now depending on the access, (which was historically 1024) the final bandwidth speed could be anywhere from 512 GB/s to 1 TB/s per package. To put this into perspective, HBM2 can reach 256 GB/s with a 1024 wide access and 2 GT/s of transfer speed. This is something that is really welcome because unlike CPUs, GPUs scale in performance extremely fast between generations and a bandwidth bottleneck could cripple performance. HBM3 will be the bread and butter of high end GPUs when it comes out. As far as DDR5 goes, they have mentioned that the transfer speeds that you are looking at will between 4.8 GT/s to 6.4 GT/s. Historically, DDR4 memory has had an average of 3.2 GT/s. This represents a performance increase as well, but not as huge as the one between HBM2 and HBM3 since we are looking at an incremental as opposed to a big leap. Both standards are slated for manufacture on the 7nm process, which would mean that they would automatically benefit form the increased economies and power efficiencies that come with such a shrink. Since we are only now getting into 10nm territory on the PC side of things, and a node usually lasts for 2 years, I do not expect either of this standard hit the shelves before late 2019 or 2020. 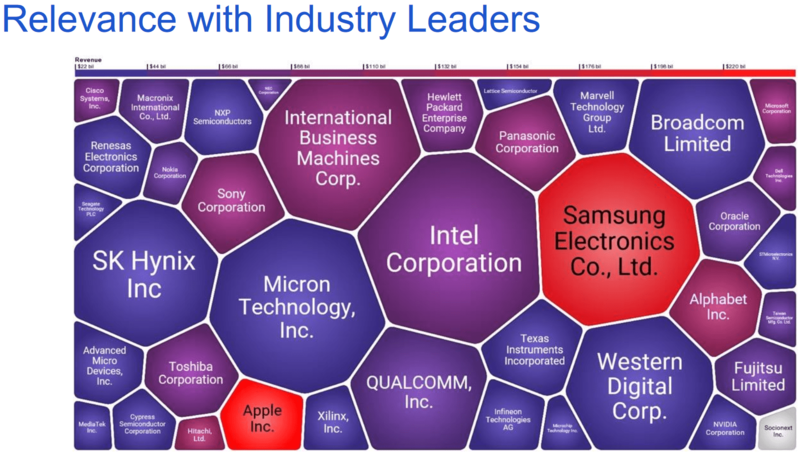 Competitiveness from AMD, could catalyze a GPU arms race that could see HBM3 come around a little earlier but even that eventuality is unlikely to happen before 2019. 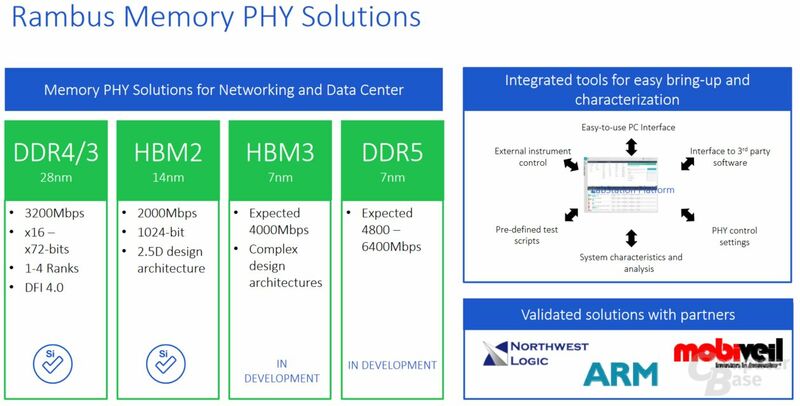 Rambus ended the note with a brief comment on its existing partners, which continue to pay licensing fee to the company to use its PHY solutions. The DDR5 standard shown is consistent with the direction JEDEC is taking. The company already has functional silicon of DDR5 that is undergoing tests but since the target platform is 7nm, it is unlikely to see the light of day anytime soon.